The global ‘datasphere’ could grow to 175 zettabytes by 2025, with sectors including healthcare helping to define a new era for technology. This is according to an IDC White Paper, The Digitization of the World – From Edge to Core, which examines impending shifts to the global data model. 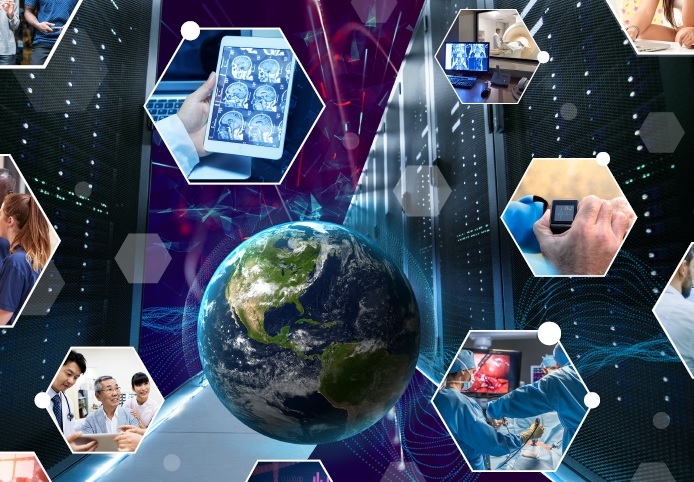 Sponsored by Seagate Technology, the research shows that while healthcare currently has the smallest share of the global enterprise datasphere among key industries examined in the study, it is primed to grow the fastest, far surpassing the media and entertainment sector and matching the financial services sector by 2025. The growth reflects advancements in healthcare analytics and imaging technology, as well as the increasing amount of real-time data created in medical care. The study uses DATa readiness CONdition (DATCON), an index that evaluates management, usage and monetisation of data to help inform today’s business leaders on their level of data readiness. Ranging from 1 (Critical) to 5 (Optimised), DATCON scores are calculated across a number of metrics, including data growth, criticality, security, investment, management, skills, and C-level involvement. And the findings show that industries are in various states of readiness and should take action to prepare for, and capitalise on, data growth. For the healthcare market, despite its rapid growth, at 2.4, there is still room for improvement. Survey results indicate blockchain will be important for the industry, but nearly 60% of organisations lack a strategy or have yet to implement any initiative. “We are at the beginning of an era where both data creation and data utilisation are forecasted to grow rapidly over the next decade,” said Dave Mosley, Seagate’s chief executive. “While some industries are more prepared for digital transformation than others, all businesses need to be ready to act on a solid digital strategy in order to be successful in the data age. The enterprise is fast becoming the world’s primary data steward in today’s connected world. And the study predicts that the installed bytes across the enterprise is to represent over 80% of total installed bytes worldwide in 2025. This trend will only continue to amplify the data protection responsibilities of companies around the world. Also revealed by the study, almost half (49%) of the world’s stored data could reside in public cloud environments by 2025. The shift to the public cloud is largely being driven by a world filled with IoT sensors that are constantly capturing, recording, and analysing data in business environments. And, with businesses looking to centralise data management and delivery, there is an increased reliance on the connectivity, performance and convenience that cloud services provide. As NHS organisations continue to pursue the cloud for increasing data processing and storage needs, cloud data centres are becoming the new enterprise data repository. In essence, the cloud is becoming the new core.